See below for a complete list of American Foxhound characteristics! When you see foxhunters in movies or on television — or out in the field if you live in hunt country — packs of American Foxhounds are leading the chase. Or perhaps you were introduced to the breed through Rita Mae Brown's Mrs. Murphy mystery series, set in Virginia hunt country with a number of American Foxhounds as key characters. This rare breed still lives and works the way its ancestors did when they came to this country more than 200 years ago. Bred to hunt in large packs, American Foxhounds were developed from hounds brought by English settlers, who adapted them to suit the game and terrain of their new land. American Foxhounds like the company of other dogs but can be a single companion dog if you're committed to giving them the exercise they'd normally get running around with their canine friends, and to spending the time to help them bond with their human family. Despite their size, they're mild-mannered unless they're in pursuit of their quarry. Then they become relentless in the hunt. Like all hounds, the Foxhound is musical. Hounds are described as having bell-like voices, and their baying can carry for miles. It's best not to bring one home unless you're sure your neighbors will appreciate the concert or live far enough away that they won't be disturbed. The Foxhound is famed for his musical voice and his bays and howls can carry for miles; city living is not recommended for this breed. Foxhounds are easily distracted by various scents. Once he has decided to follow one, you'll have a difficult time calling him off. Foxhounds aren't homebodies and will roam if given the chance. 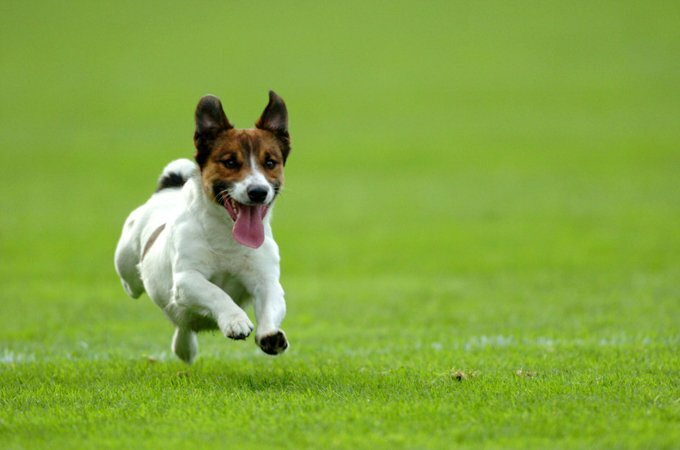 Foxhounds are extremely active and need one to two hours a day of exercise. Take them on long, meandering walks with lots of sniffing time or take them on a run with you. Foxhounds aren't suited to living in cramped quarters; they need a large yard or, better yet, an acre or two. Foxhounds love to eat and easily gain weight if their food intake isn't strictly controlled. Foxhounds can be stubborn and independent, making training a challenge. Obedience training is important, however, to develop a better relationship with your dog and establish your position as leader of the pack. Foxhounds are gentle and tolerant and love children. They enjoy the company of other dogs and can learn to get along with cats if introduced to them at an early age. While they're mainly sweet and easygoing, American Foxhounds have the independent and stubborn nature that's common to hounds. They've been bred to hunt with very little direction from their human companions, and they don't necessarily see why they should have to do things your way. Foxhounds who've been raised in the company of other dogs, rather than with a human family, can be challenging because they've bonded more with their pack than with people. They'll need more time, attention, and training to help them get used to life as a family dog. Like every dog, Foxhounds need early socialization — exposure to many different people, dogs, sights, sounds, and experiences — when they're young. Socialization helps a Foxhound puppy grow up to be a friendly, well-rounded dog. Thrombocytopathy is caused by poorly functioning platelets and results in abnormal or excessive bleeding from minor bumps or cuts. The treatment is based on the cause and severity of condition. 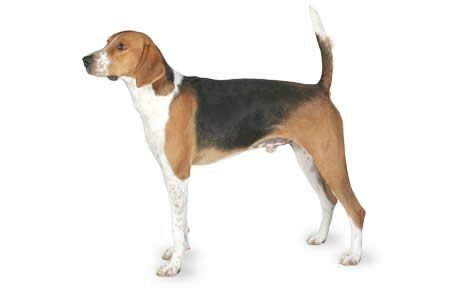 Bred to be a fast hunter who can run for miles, the American Foxhound needs a substantial amount of exercise. If he's not going to be a hunting companion, he'll need daily runs or some other form of exercise to help him burn off his natural energy. He's best suited to a home with a yard — or better yet, an acre or two; he's probably too loud for condo or apartment living. Often raised in outdoor kennels with a pack of dogs, the American Foxhound is used to roughing it, and can live outdoors if he's got a good shelter and another social dog to keep him company. If he's an only dog, however, he should live indoors with his human pack so he won't get lonely. Obedience training is highly recommended to help the independent Foxhound view you as leader of the pack. He won't respond well to punishment-based training, so use treats and praise to reward him for doing as you ask. And "ask" is the operative word. Hounds will flat-out ignore you if you try to boss them around. Keep an old Southern adage in mind when training an American Foxhound: you catch more flies with honey than with vinegar. Recommended daily amount: 2 to 3 cups of a high-quality dog food a day. Hounds like to eat. To help prevent obesity, measure your Foxhound's food before you serve it and give meals twice a day rather than leaving food out all the time. You should be able to see a waist when you look down at him. Do the hands-on test periodically to make sure your dog's in good shape: place your hands over his body, thumbs along the spine and fingers spread downward. You should be able to feel his ribs beneath a layer of muscle. If they're buried beneath rolls of fat, your dog needs more exercise and less food. For more on feeding your American Foxhound, see our guidelines for buying the right food, feeding your puppy, and feeding your adult dog. American Foxhounds have a medium-length coat that lies close to the body and has a hard texture, protecting the hound from brush and briars in the field. The coat comes in many colors; as the saying goes, no good hound is a bad color. American Foxhounds are a brush-and-go breed. A once-over with a firm bristle brush once a week removes dirt and distributes the skin oils that keep the coat healthy. You don't need to bathe your Foxhound regularly — only when you notice a strong doggy smell or he's gotten into something grimy. Other grooming needs include dental hygiene. Brush your Foxhound's teeth at least two or three times a week to remove tartar buildup and the bacteria that lurk inside it. Daily brushing is even better if you want to prevent gum disease and bad breath. Trim nails regularly if your dog doesn't wear them down naturally. If you can hear them clicking on the floor, they're too long. Short, neatly trimmed nails keep the dog's feet in good condition and protect your legs from getting scratched when your Foxhound enthusiastically jumps up to greet you. Start getting your Foxhound used to being brushed and examined when he's a puppy. Handle his paws frequently — dogs are touchy about their feet — and look inside his mouth and ears. Make grooming a positive experience, filled with praise and rewards, and you'll lay the groundwork for easy vet exams and other handling when he's an adult. American Foxhounds are patient and loving with children, and it's not unusual to hear of a child learning to walk by holding onto the family Foxhound. That said, as with any breed, you should never leave a dog and a young child alone together. They should always be supervised to prevent any ear biting or tail pulling, by either party. Bred for living in large packs, American Foxhounds are always happy to have the company of other dogs. A bored hound will find ways to entertain himself — destructive ways that you won't like — so if no one's home during the day, it's best if he has at least one canine buddy. American Foxhounds can get along well with cats, rabbits, and other pets if they're raised with them in the home. Even so, don't leave them unsupervised with other pets until you're sure they all get along. American Foxhounds are often purchased without any clear understanding of what goes into owning one. There are many American Foxhounds in need of adoption and or fostering. If you don't see a rescue listed for your area, contact the national breed club or a local breed club and they can point you toward a American Foxhound rescue organization. Below are breed clubs, organizations, and associations where you can find additional information about the American Foxhound.